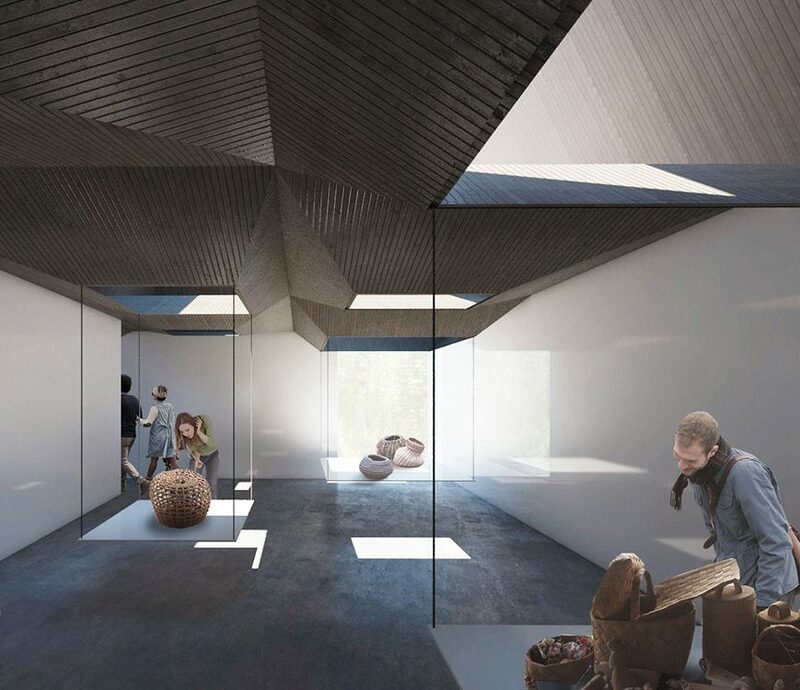 Our proposed design for the Museum of Forest Finn Culture uses light to provide a reflective, connected and ephemeral experience of the Forest Finn’s nomadic and agronomist lifestyle. 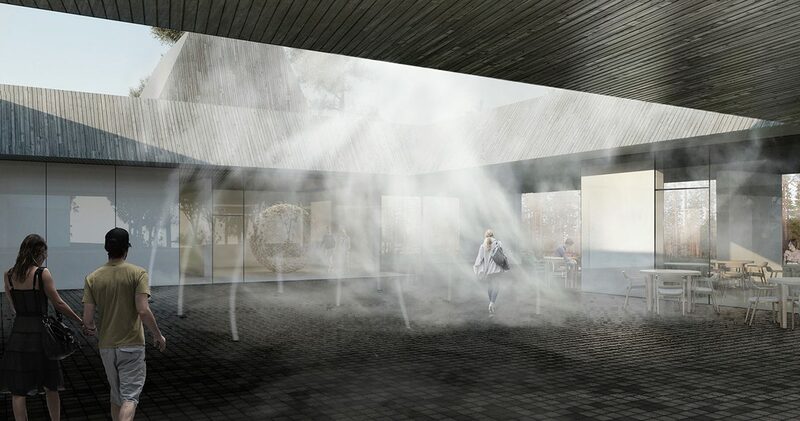 Ultimately, the design aims to establish a relationship between people, context and environment by capturing the change in light throughout the seasons. 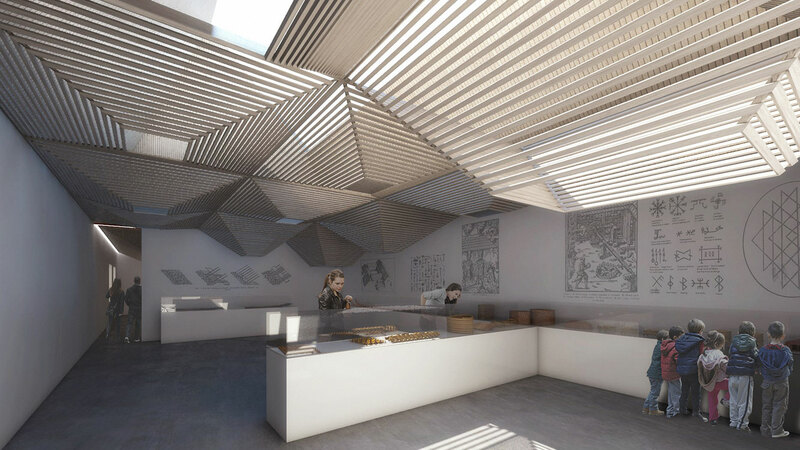 A series of layered timber roofs is designed to control and affect light passing through the building, much like a forest canopy collects and filters sunlight. 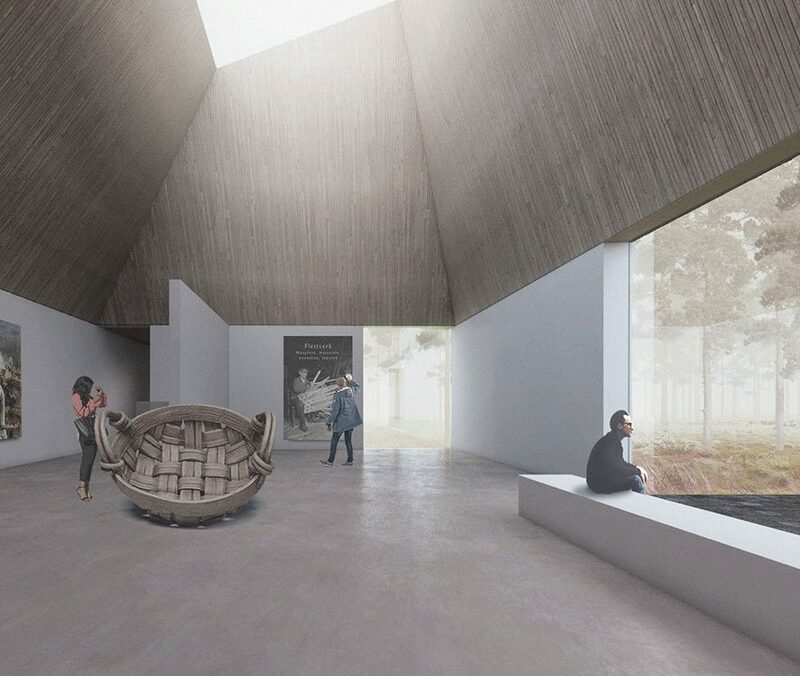 These roofs also curate the use and journey of the museum and connect the space to the cycle of slash and burn and the surrounding environment. The roofs of the temporary and permanent exhibition areas have varied heights, depths and material densities to create dynamic and delightful spaces. 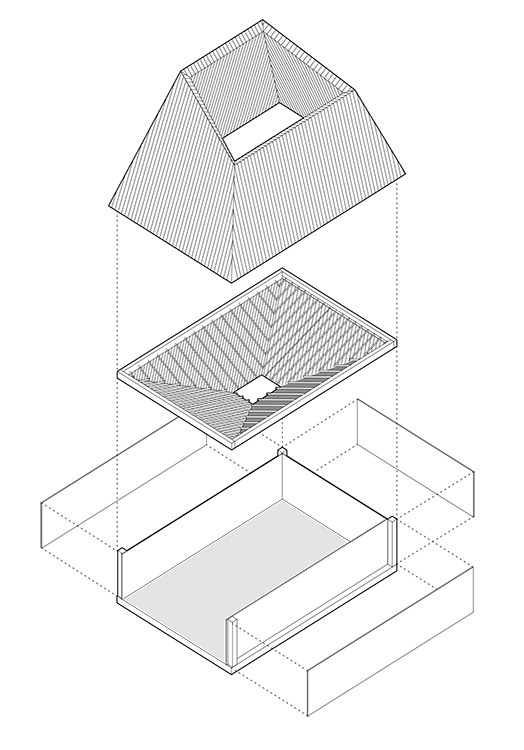 They actively affect the internal experience and provide contextual and engaging forms externally, encouraging intrigue and curiosity in the museum. 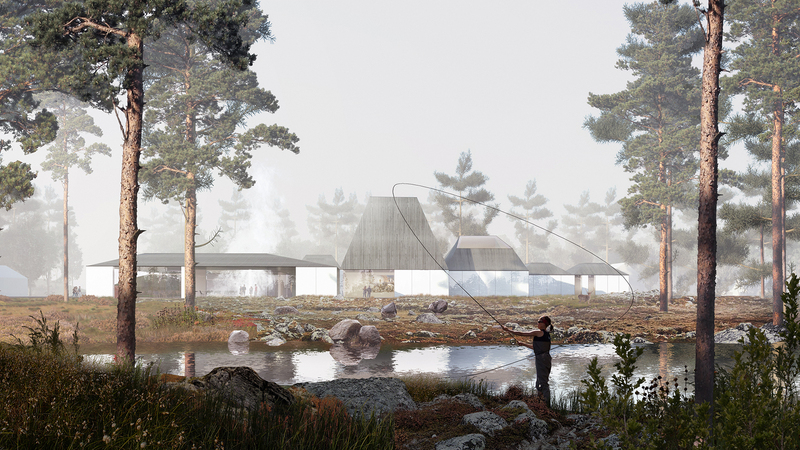 Our proposal utilises local materials, modern methods of construction and themes drawn from the Forest Finn culture, resulting in a functional and flexible layout that also creates surprise and delight for visitors from near and far. 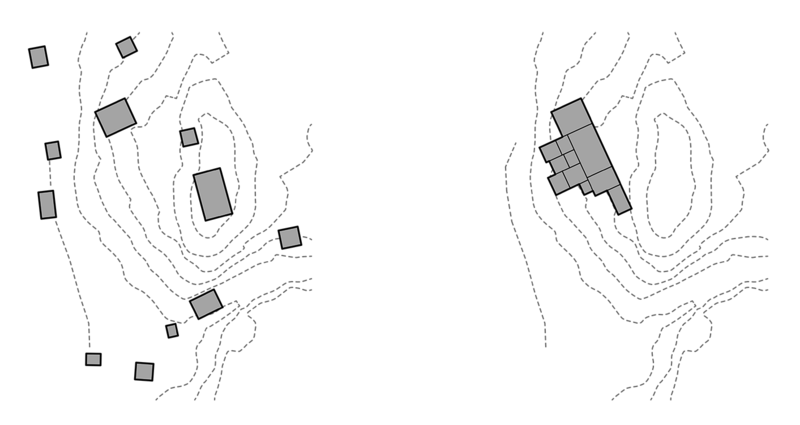 Our designs join a series spaces, similar to the original Forest Finn Settlement buildings. The museum is zoned into administrative, academic, exhibition and civic areas around an entrance space that orientates visitors. The layered roof design allows the architecture to control natural and artificial light, atmosphere and enclosure. 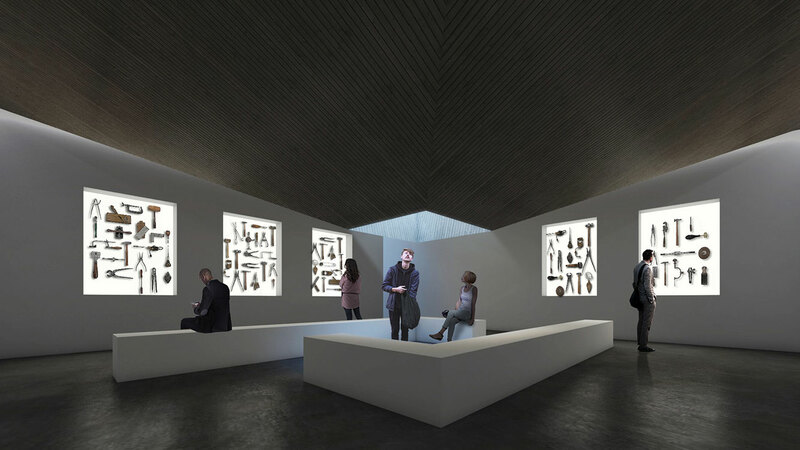 The roofs guide the journey from dark and immersive rooms to light and expansive spaces whilst also controlling the light level for sensitive artefacts. Like a forest canopy that collects and filters sunlight in different ways, a series of layered timber roofs control and effect light passing through the building. The roofs curate the use and journey of the museum. Each exhibition gallery has a unique quality of light associated with a specific stage of the slash and burn agricultural process and its respective time of year. Beginning in darkened exhibit rooms, symbolic of the dense foliage the Forest Finns would have encountered, the journey continues through spaces of dappled light to open, light-drenched areas with views to the river and surrounding forests. 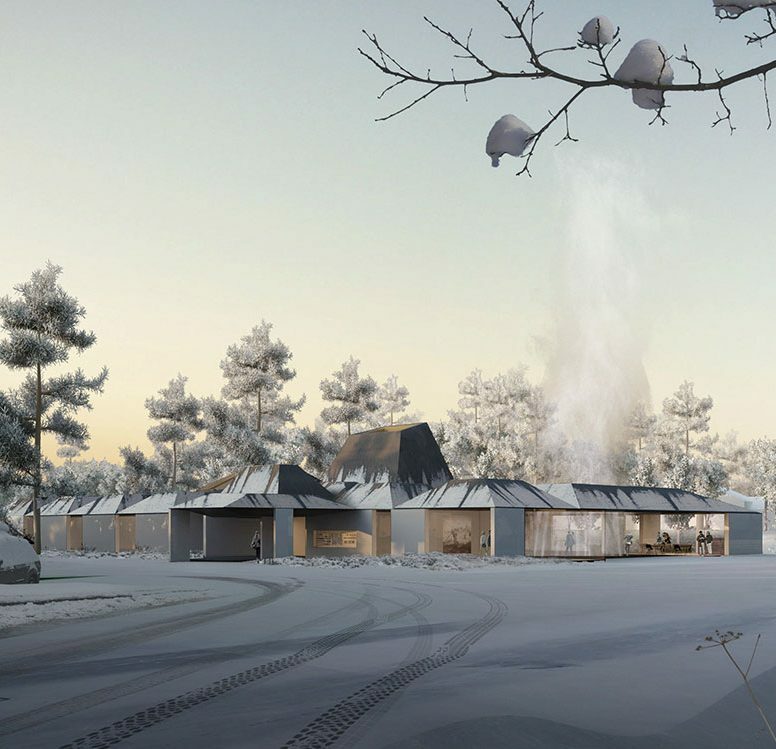 From forest to clearing, the exhibition culminates in an architectural opening that forms a welcoming public square for the village of Svullrya.